This is your opportunity to plunge into studying what God has put closest to your heart. 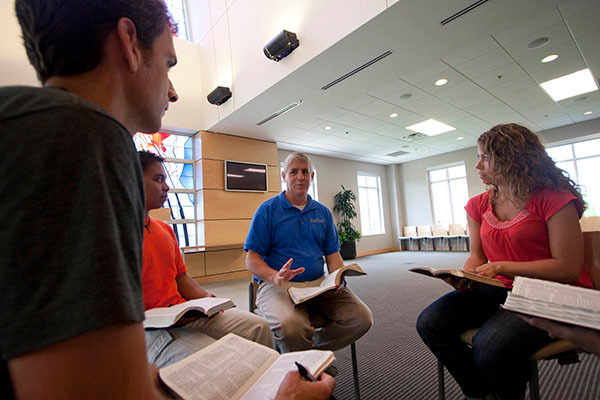 Our Master of Theological Studies is very flexible — you'll be able to customize 21 hours of your training. Start by choosing a concentration in Scripture, Old Testament, New Testament or theology and history. You'll discover that the door's always open with our caring faculty. So broaden your theological and historical knowledge within our Christian tradition. Upon graduation, you'll be able to interpret Scripture well. You will also have reasoning skills that will prove useful in conversation and advanced academic studies. You'll also find it easier to advance your career within academia, ministry, or even Christian publishing. Twelve hours from any courses offered by Hazelip School of Theology that are not already counting toward the above requirements or emphasis. A maximum of two ministry courses (six hours) may be counted toward this degree.